From here you will find photos of friends and I climbing, flying, and traveling together here on planet Earth. All these photos conjure up such good memories for myself. I truly hope my family and friends will stumble upon them and enjoy them as I do. I like to think that I have a certain kinship of spirit with the dedicated alpine connoisseurs on this planet. I've always been attracted to the concept of taking what knowledge we learn here and applying over there, somewhere else. 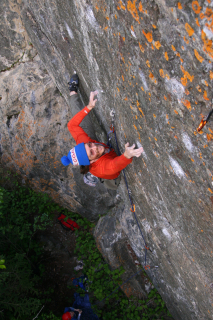 As in what we learn down here at our local crags we take up there to our alpine objectives. It's a heady cup of individuality tea to drink and it's certainly a known when one has tasted it. Even though it is still within my grasp, I myself chose years ago not to pursue the full on physically demanding alpine ideal. Mostly because I discovered that I'm a creature of comfort, with far too many self indulgent distractions. So instead I've become a self proclaimed crag rat. By that I mean - not being out and away from a warm bed and body for more than a couple of days at a time. Well, maybe a couple of small alpine objectives here and there that may brilliantly strike my fancy... It's still exciting to know that within my lifetime I will read about today's technical difficulties at the crags inching ever so closer to tomorrow's mountainous realities. Now for this crazy activity called paragliding. 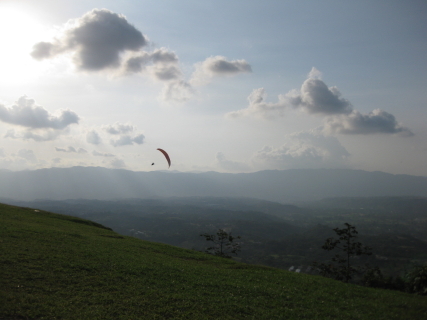 First let me say that I'm a climber that paraglides and it certainly shows in my learning curve. For most of my lessons have been learned by trial and error. Thankfully I have good luck (knock on wood) and I'm blessed with enough brains to learn from those first or second errors in judgment. I say that now. Seriously though, this activity of flying is one of the most lively and enjoyable things I've ever done. There's just nothing so exhilarating as hooking into a strong thermic core and traveling as far as one can over peaks and valleys, on nothing more than air. It can be a very peaceful or absolutely terrifying and anything in between experience. Air is "THE" lucid and unpredictable element to play with. Then again those with feathers would find it interesting attempting to ride bicycles. I do see the feathered friends in a different light these days. They're so beautiful playing in the wind, and it's a joy to be part of their fun. Believe me when I say I know they're having fun. So I say, I hope to be flying well into my later years, as it will be an honor to live out my life here on planet Earth under a nylon wing with my feathered friends. Learning to fly is truly a gift. And a human being is never the same after that first exhilarating thermal. The what and who we are, are shown perhaps by the games we play. As long as we pay attention, our waking like sleeping dream has this creative like power to reflect what one is. It's a simple fact, we require a physical body to exist here on this planet and it's this body that allows us to learn so much about ourselves. It makes no sense to me to not explore this planet's elements. This planet is fricken epic people! So onward and click away. May you play as you may. 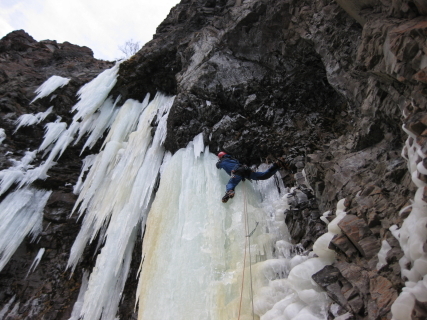 Alaska Rock Climbing Guide - Thank You Kelsey! DanTechServices.com - Thank You Dan! 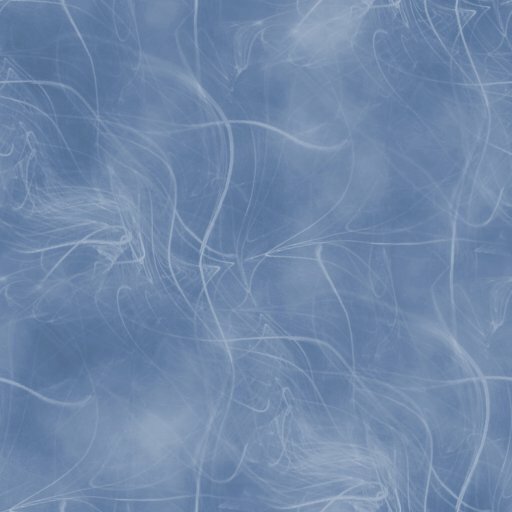 RisingAir.com - Thank You Bill! Thank You Desert Air Riders for the great flying and support at the Pine Mountain Fly-In! You all rock! Thank You Rick for the climbing and logistical support in Tuolumne California! Much thanks brother! Thank You John for the climbing and logistical support in Tuolumne California! Keep it rolling brother! His website is here http://verticaladdictions.blogspot.com. Thank You Wayne & Paula, Kent, Scotty, Bridog, Kari and crew for the climbing and flying logistical support in Bishop California! Nearly a second home for myself! Thank You Cody & Denise, Danny, Jordan, Milo, and Marco for the climbing and logistical support in Bishop California! Nearly a second home for myself! Thank You Eli & Taylor, Darla, Deanna, and Chris for the climbing and logistical support in Bishop California! Nearly a second home for myself! Thank You Alix & Jim, Suzanne, April, Tara, Alix and Andrew for the climbing and logistical support in Bishop California! Nearly a second home for myself! Thank You Rob at Eagle Paragliding and Mitch McAleer for the paragliding support in Bishop California! Thank YOU! Thank You Rick, Dan, Norm, John, Sam, Nathan, Jamie, ALL OF RVHPA, and the Fiasco Winery for the paragliding support at Wood Rat, OR! Back home, 6/23/14. THANK YOU to everyone that supported the 2013/14 adventure roadtrip; BIG GROWTH!